You know that feeling when you love a book and you can’t quite put into words why? You just want to run around, throwing copies of it into the hands of unsuspecting readers? That’s how I feel about The Gutter Prayer, Gareth Hanrahan’s astonishing debut. The Gutter Prayer is a breath of fresh air in a genre that can sometimes feel stale, and I cannot get enough of this insanely cool world. The most unique and stunning aspect of this book is the world building, specifically the city of Guerdon and its residents. Funny enough, the only book that I think is comparable to the way the setting is used within the story is Ben Aaronovich’s Rivers of London. You can tell that Aaronovich’s knows London like the back of his hand while you’re reading that book. Now imagine that level of detail in a completely fantastical setting. It’s truly astonishing how familiar you get with Guerdon’s streets and districts as Hanrahan guides you through the streets and alleyways. By the end of the book, I felt like I could probably navigate certain districts of the city. Guerdon is truly a living, breathing character in this book in a way that I’ve never seen an author accomplish. I loved the weird and wonderful residents of Guerdon, but the ones that stood out most were the Tallowmen, the city’s alchemical police force of terrifying men made of wax — the fact that they were once human prisoners condemned to alchemical vats makes it even worse — and the Crawling Ones, the humanoid masses of grave worms that absorb the souls of dead men in they consume. Perhaps it is the kinds of fantasy books I read, but I don’t think I’ve come across any non-human creatures so vivid or memorable as these. They are grotesque, yet fascinating and somehow so bizarrely realistic. Our three main characters are well written and interesting in their own right. We have Cari, the thief who has just returned to Guerdon after a long time away, Spar, the Stone Man plagued by a deadly illness, and Rat, the ghoul from beneath the city streets. There are a few other POV characters, but these three make up the bulk of the points of view within the book. Unlike many books that feature three or more perspectives, there wasn’t a single one I found less interesting than the others. The fact that Hanrahan has managed to balance at least five POVs is so impressive and I was never disappointed or relieved to switch perspectives — every single one was interesting to me. I really loved all our main characters, although I wish we got more of Rat, but the secondary characters stole my heart. Eladora, Jere, and Aleena were fantastically well-rounded characters that were so much fun to read about, and I couldn’t help cheering them on throughout the story — regardless of who’s side they were on. Unfortunately, the best bits of the book are one I cannot talk about — they’re best discovered on your own. Hanrahan takes tired tropes and themes in fantasy, and twists them into something strange and insanely cool. The Gutter Prayer is a compelling, slow-burn read that is one of the most rewarding books I’ve read. Although I don’t think it will suit some readers, I really think that adult fantasy fans will absolutely adore this book. If you’re looking for something unique, fascinating, and highly engaging, look no further than The Gutter Prayer. Have you read The Gutter Prayer? What did you think? 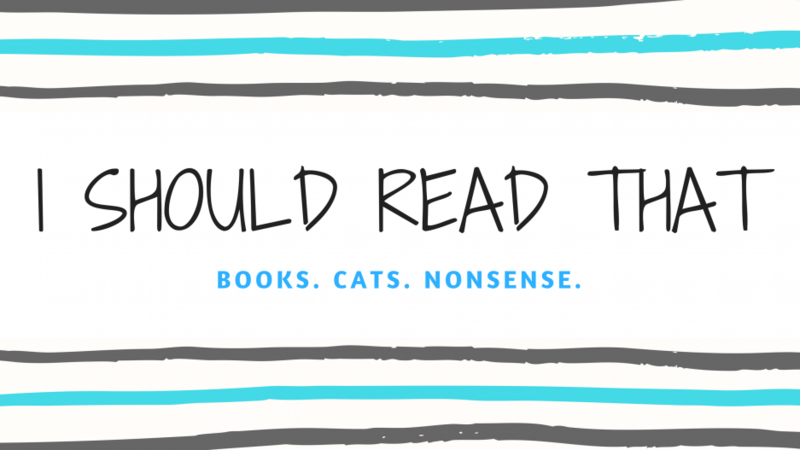 Is it in your TBR? Let me know!